The West End Musical Brunch combines all the glitz and glamour of West End theatre into one action packed day of quality entertainment, food and bottomless booze. Produced by themed immersive experience specialist Neighbourhood Events and hosted at secret locations in the heart of theatreland, the West End Musical Brunch is a themed brunch like no other. Tickets start at £20. The brunch promises theatre fans five hours of non-stop hits from the musicals kicking off with 90 minutes of bottomless prosecco and cocktails and a two-course meal. Even before the show, there’s characters walking around interacting with guests, a caricaturist and a chance to be papped on the red carpet with Sir Webber himself! Attendees can try themed dare cards and complete musical dares throughout the evening. After brunch, it’s time for the main event. The host bursts into song supported by an ensemble of dancers aptly named the West End Wendy’s before introducing the brightest stars of some of the biggest shows in town. The winter line up is packed with talent and attendees will get a chance to get up close and personal with stars from the biggest shows including leads from Wicked, Les Miserables, Jesus Christ Superstar, Hairspray, Thriller, Grease, Rent, 5 Guys Named Moe, Little Shop Of Horrors, Priscilla Queen Of The Desert, Motown and more. Once the show is finished and the tables are cleared ticket holders get their chance to put on a show of their own with a cast of friends to the biggest uptempo musical theatre hits. The sample menu includes an abundance of breakfast pastries, muffins and granola pots followed by beef or vegetarian sliders with fries but is subject to change. 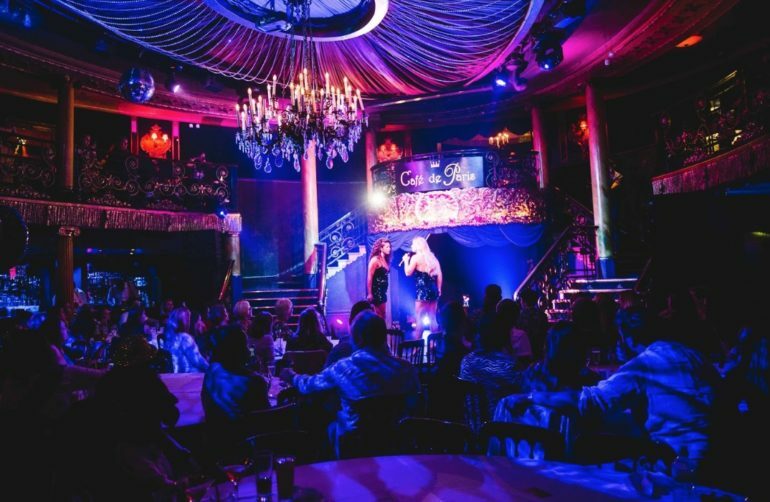 The majority of dates are scheduled to take place at the prestigious Cafe De Paris which has a longstanding relationship with the musical theatre world including hosting the Whatsonstage awards.